Disordered hyperuniform dispersions are exotic amorphous two-phase materials characterized by an anomalous suppression of long-wavelength volume-fraction fluctuations, which endows them with novel physical properties. While such unusual materials have received considerable attention, a stumbling block has been an inability to create large samples that are truly hyperuniform due to current computational and experimental limitations. To overcome such barriers, we introduce a new and simple construction procedure that guarantees perfect hyperuniformity for very large sample sizes. 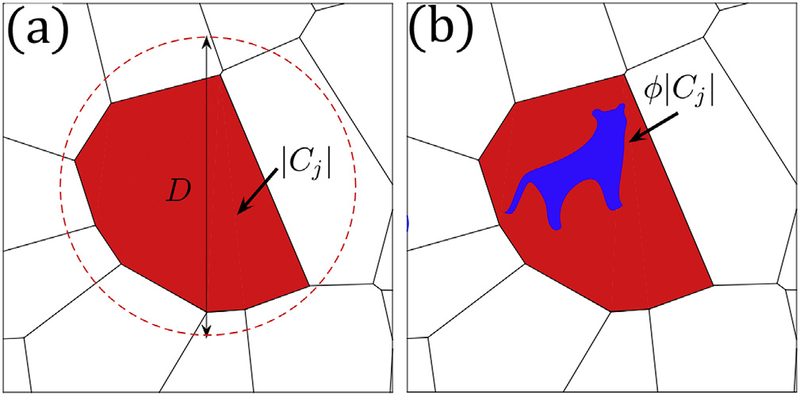 This methodology involves tessellating space into cells and then inserting a particle into each cell such that the local-cell particle packing fractions are identical to the global packing fraction. We analytically prove that such dispersions are perfectly hyperuniform in the infinite-sample-size limit. Our methodology enables a remarkable mapping that converts a very large nonhyperuniform disordered dispersion into a perfectly hyperuniform one, which we numerically demonstrate in two and three dimensions. A similar analysis also establishes the hyperuniformity of the famous Hashin-Shtrikman multiscale dispersions, which possess optimal transport and elastic properties. Our hyperuniform designs can be readily fabricated using modern photolithographic and 3D printing technologies. The exploration of the enormous class of hyperuniform dispersions that can be designed and tuned by our tessellation-based methodology paves the way for accelerating the discovery of novel hyperuniform materials.